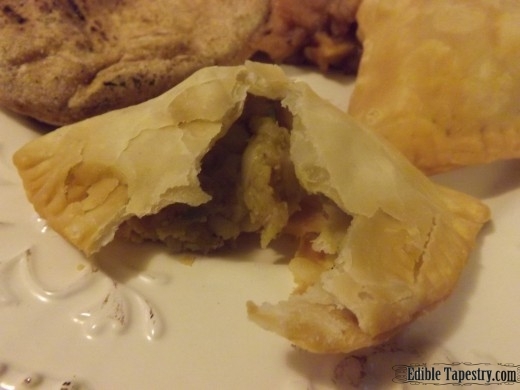 Potato Samosas ~ Inspired by Julie Lawson Timmer’s Debut Novel, FIVE DAYS LEFT. 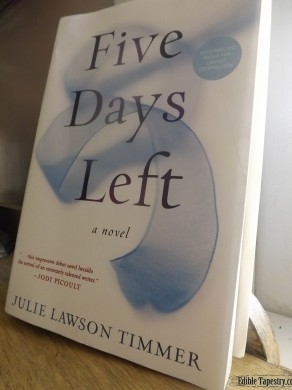 The parallel stories presented by Julie Lawson Timmer in her book, Five Days Left, (Amy Einhorn Books G.P. Putnam’s Sons, 2014) put readers in the midst of difficult situations few will have to experience within their own lives. Decisions must be made by the two main characters in the novel –Mara, a mother with a terminal, degenerative illness, and Scott, a loving foster parent– that will have an effect on every person in their lives, including a few with whom they have been acquainted for only a short time. The relationships they shared with newcomers in their lives are what I found most interesting. A person can try to predict from past experience how a loved one will react to the decisions they make, but a better view of a situation can sometimes be seen through the eyes of a stranger. This fact particularly influenced the decision-making process of Mara, a once confident and determined, successful lawyer, as she struggled with her resolve to spare her family the responsibilities the physical trials of her disease would bring to their lives as it progressed, as well as the embarrassment her ailment had already brought to her young daughter. 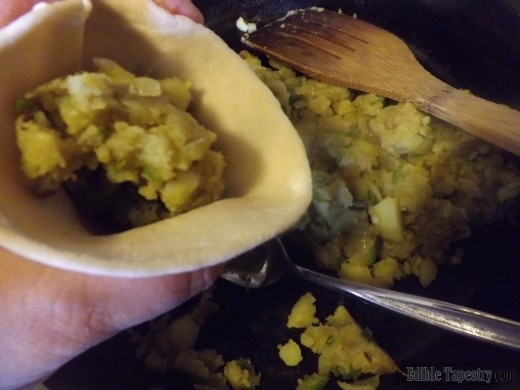 As Mara is of Indian descent, and she, in the company of her family and friends, often enjoyed freshly made samosas in the novel, I decided that I would make an entire Indian meal around the stuffed, fried pastries so common in Indian cuisine. 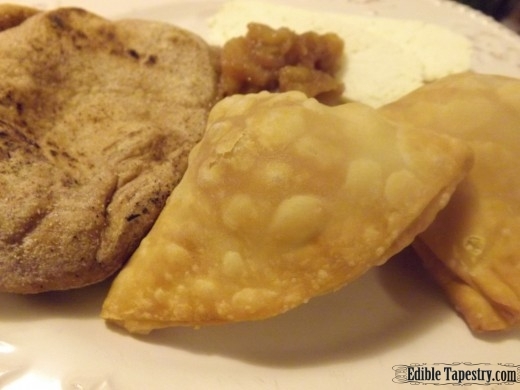 I chose to make potato samosas along with fresh whole wheat naan rounds, tangy apple chutney, and creamy paneer (Indian cheese) to accompany them. Hot brewed chai with cream and sugar made the perfect beverage to go along with this meal. All of the dishes can be easily be made in an afternoon prior to a book club meeting for a discussion of Five Days Left. 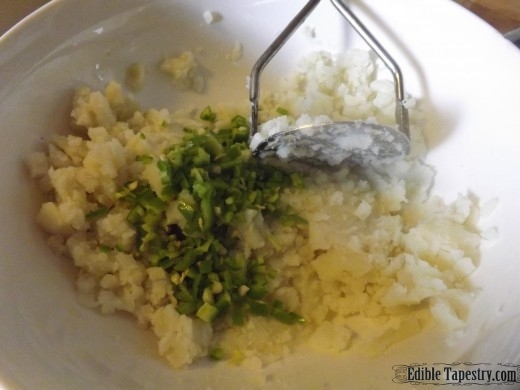 The recipes that I adapted for this meal have been shared on the blog, and can be found by clicking on the above links, or by searching the Recipes page. 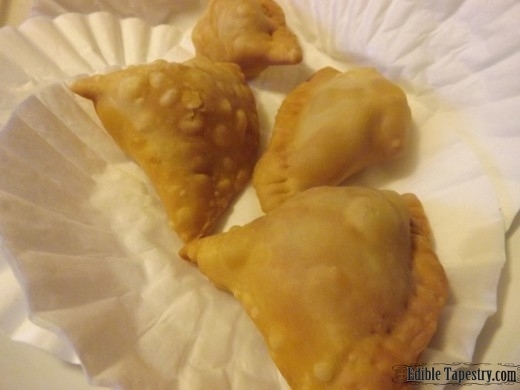 The recipe for my potato samosas is as follows. 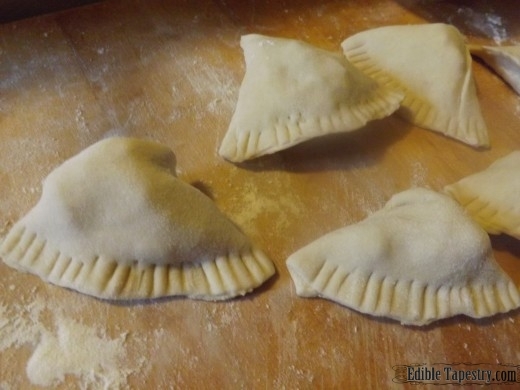 It can be altered to make a greater number of pastries in smaller sizes to be used as appetizers. 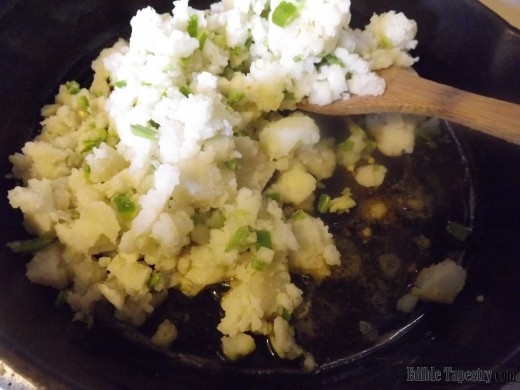 To make the filling, mash the boiled potatoes and stir in the green chili and onions. 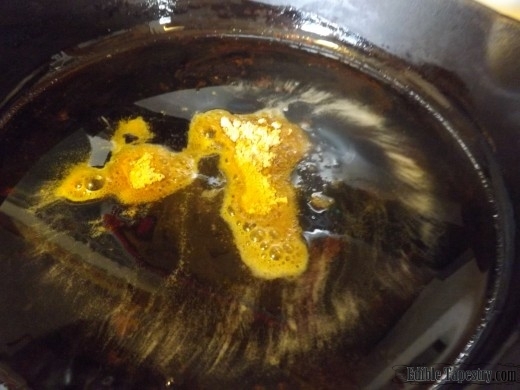 Heat the ghee in a cast iron skillet over medium-high heat. Add the spices. 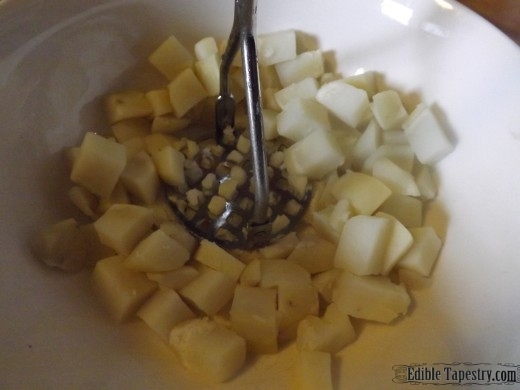 Stir to toast for a few seconds, being careful to avoid scorching them. 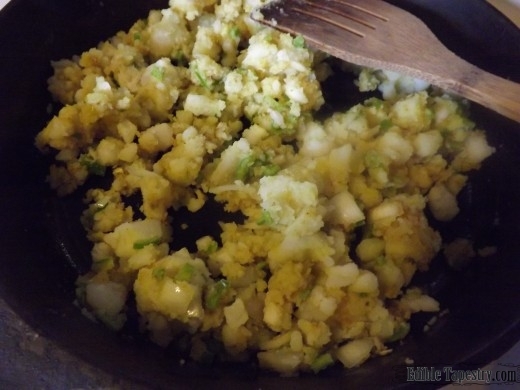 Add the potato mixture to the pan, stirring constantly to infuse with the spices and ghee, and to soften the peppers and onions. Remove from heat. Season with salt to taste. Cool. 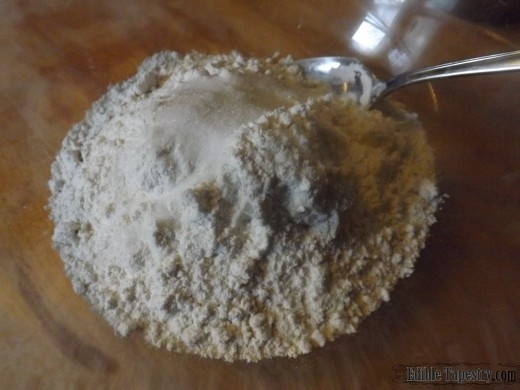 To make the dough, first sift together the flour and the salt in a medium sized mixing bowl. 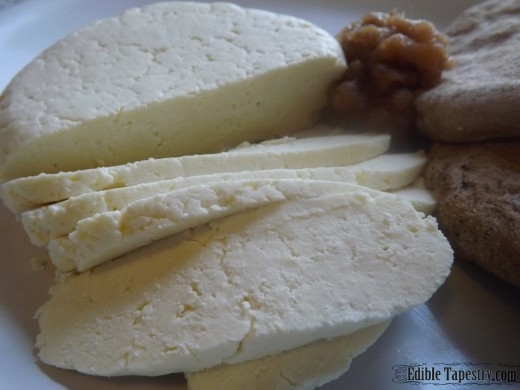 Work in the ghee with using your fingertips. Work in the water the same way, until a stiff dough is formed. 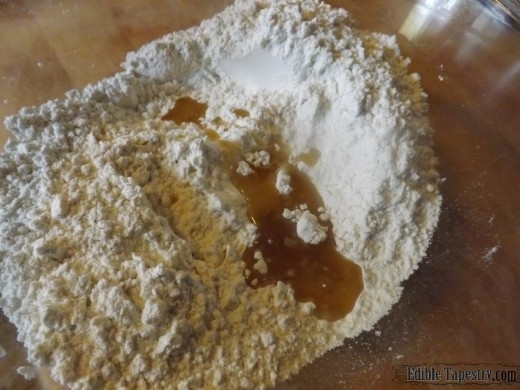 Allow to rest at room temperature so that the liquids can absorb the flour and the dough will tenderize, half an hour, or so. 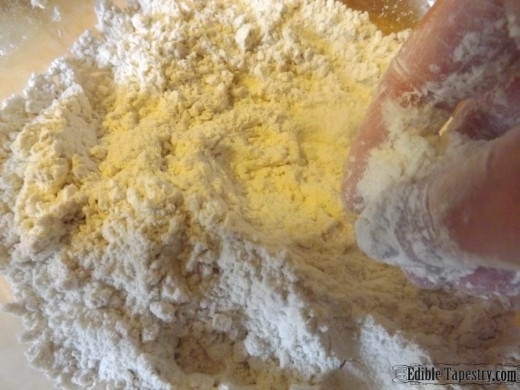 On a lightly floured surface, divide the dough into 12 equal portions. 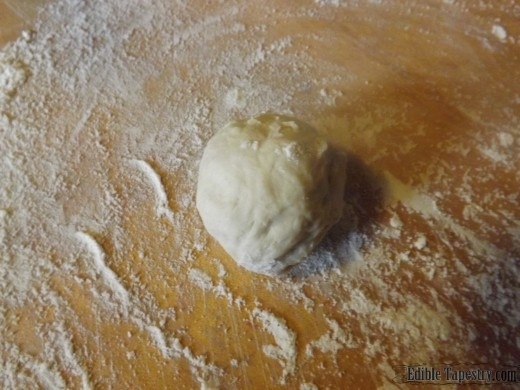 Using a rolling pin, roll out each ball into a very thin round. 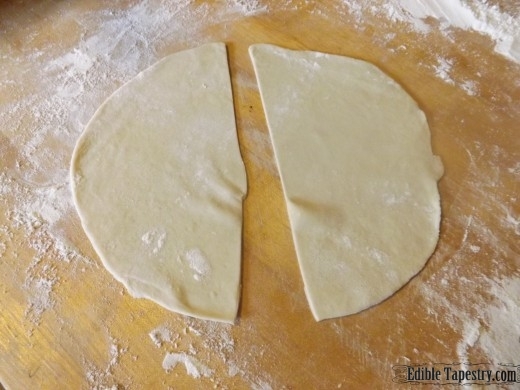 Cut each round in half. Working with one semi-circle at a time, moisten half of the straight edge. 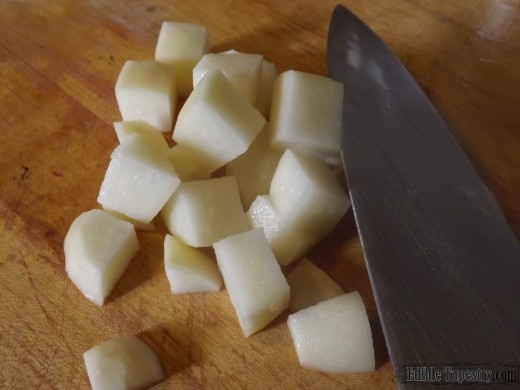 Fold the straight sides together, using the water as “glue” to seal the edges and form a cone. 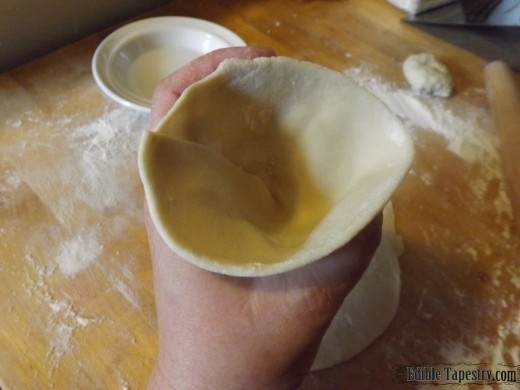 Hold the cone in one hand while adding the cooled filling to the cone with the other. 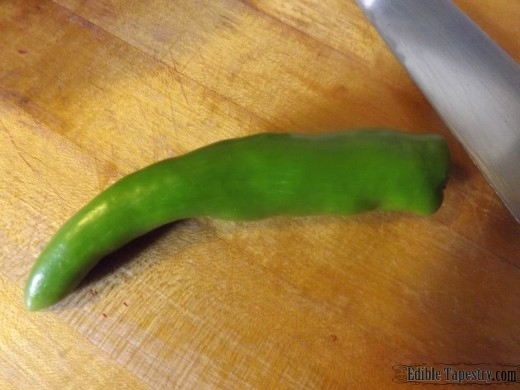 Moisten one curved open half and press the curved sides together to seal. Crimp with the tines of a fork to finish. 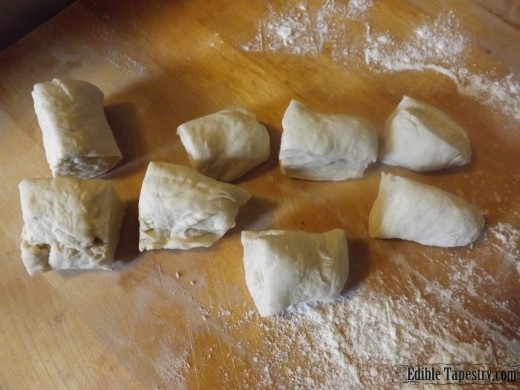 Lay on a floured surface while the others dough rounds are being filled and the frying oil is heating. 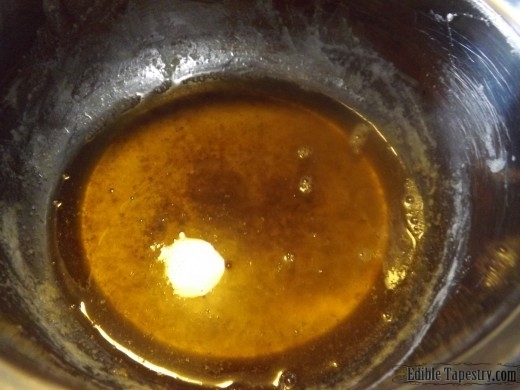 Heat oil until a strip of dough bubbles when dropped into it. 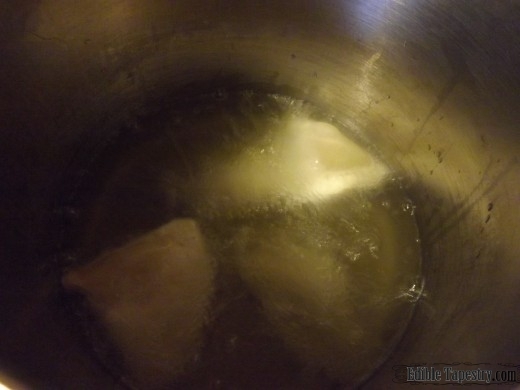 Fry the samosas, a few at a time, until puffed and golden, turning once to brown both sides. Yield: Approximately one dozen large samosas.